Designed to offer exceptional cover for the entire bed, our Bed Pad with Flaps is a secure and reliable option for busy care homes with fast-paced laundry needs. Stitched from a specially constructed fabric that works to draw moisture away from the surface for a comfortable night sleep at all times, this flat laying pad has a completely smooth surface to prevent pressure ridges and can be washed in a conventional washing machine at 95°C. The impermeable barrier keeps under sheets bone dry while the side flaps curve below the mattress to hold the pad securely in place, even when your patient is exiting and entering the bed numerous times throughout the day. 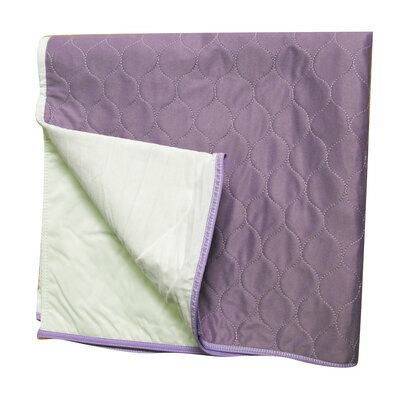 Pliable in its construction and able to absorb up to 3 liters of liquid, this bed pad also features fully bound edges for a durable finish that can be relied upon for many months or years to come.